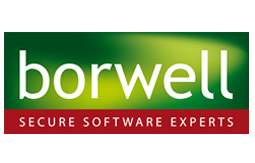 The borwell team delivers secure software solutions to UK Government departments. The team also works for NATO, the EDA and other similar organisations across the world. With over 12 years of experience delivering high quality, reliable and secure solutions, our team has become a trusted cyber security delivery partner for a number of organisations. In 2013 the team won the UK MoD award for a software project that supported the London 2012 Olympic Games. The software has also been used to support anti-piracy operations in the Indian Ocean, as well as in other high risk areas around the world. The team also supports UK corporations and SMEs. Custom database solutions, cyber security advice and consulting, and a data diode product, help keep data and systems secure for these clients.